The year began with a burst of announcements by the Obama Administration of cases it rushed to resolve before leaving office. In the period between election day and the inauguration, the Justice Department and various agencies announced more than $30 billion in fines and settlements. Sale of Toxic Securities: Two of the year’s biggest penalties came in cases stemming back to the period leading up to the financial meltdown in 2008. During its final days the Obama Justice Department got Deutsche Bank to agree to pay $7.2 billion to resolve allegations that it misled investors in the sale of mortgage-backed securities. A day later it announced that Credit Suisse would pay $5.3 billion in a similar case. Moody’s reached an $864 million settlement with the federal government and 21 states for providing flawed credit ratings on what turned out to be toxic securities. Money Laundering. In January Western Union agreed to forfeit $586 million and entered into agreements with the Justice Department and the Federal Trade Commission to resolve criminal allegations that it failed to maintain an effective anti-money-laundering system and that it abetted wire fraud. Environmental Fraud: In January the Justice Department announced that Volkswagen would plead guilty to three felony counts and pay a $2.8 billion penalty to resolve the criminal charges brought against the automaker in connection with its scheme to use a device to cheat on emissions tests. Auto Safety Fraud: In January Takata Corporation agreed to pay a $1 billion criminal penalty in the case brought against the Japanese company for fraudulent conduct in the sale of defective airbag inflators. Sale of Toxic Securities: In July the Federal Housing Finance Agency announced that Royal Bank of Scotland would pay $5.5 billion to settle allegations relating to the sale of mortgage-backed securities to Fannie Mae and Freddie Mac. Export Control Violations: In March the Commerce Department’s Bureau of Industry and Security announced that the Chinese company ZTE would pay $661 million to resolve allegations that it shipped telecommunications equipment to Iran and North Korea in violation of U.S. export restrictions. Bribery: In September the Swedish telecommunications company Telia was fined $457 million by the Securities and Exchange Commission for violating the Foreign Corrupt Practices Act through illicit payments to government officials in Uzbekistan. False Claims Act: In August the pharmaceutical company Mylan agreed to pay $465 million to settle allegations that it misclassified its EpiPen devices as generic drugs to avoid paying rebates to Medicaid. Illegal Drug Promotion/Distribution: In July the U.S. Attorney’s Office in Los Angeles announced that Celgene would pay $280 million to settle allegations that it illegally promoted two cancer medications for uses not approved by the Food and Drug Administration. In September AmeriSourceBergen pled guilty and agreed to pay a total of $260 million to resolve criminal liability for its distribution of oncology supportive-care drugs from a facility that was not registered with the FDA. Foreign Exchange Violations: In July the Federal Reserve Board fined the French bank BNP Paribas $246 million for failing to prevent its foreign exchange traders from engaging in market manipulation. In September the Fed fined HSBC $175 million for the firm’s unsafe and unsound practices in its foreign exchange trading business. Consumer Protection: In August the Consumer Financial Protection Bureau fined American Express $96 million for discriminating against consumers in Puerto Rico, the U.S. Virgin Islands, and other U.S. territories by providing them with credit and charge card terms that were inferior to those available in the 50 states. Price-Fixing: In May the Justice Department’s Antitrust Division announced that Bumble Bee Foods would pay a criminal fine of $25 million in connection with price-fixing of shelf-stable tuna. Workplace Harassment: In August the Equal Employment Opportunity Commission announced that Ford Motor would pay up to $10.125 million to workers affected by sexual and racial harassment at two company facilities in the Chicago area. Fair Labor Standards Act: In March the Labor Department’s Wage and Hour Division announced that the Walt Disney Company would pay $3.8 million in back wages to workers affected by violations of minimum wage and overtime rules. Environmental Violation: In October Exxon Mobil agreed to pay a penalty of $2.5 million and spend $300 million on air pollution controls to resolve allegations that it violated the Clean Air Act by failing to properly operate and monitor industrial flares at its petrochemical facilities. Note: Additional details on all these cases can be found in Violation Tracker. During 2017 my colleagues and I expanded the database to 300,000 entries with total penalties of $400 billion. Coverage now includes cases from more than 40 federal regulatory agencies and all divisions of the Justice Department dating back to the beginning of 2000. When Donald Trump fired dozens of U.S. 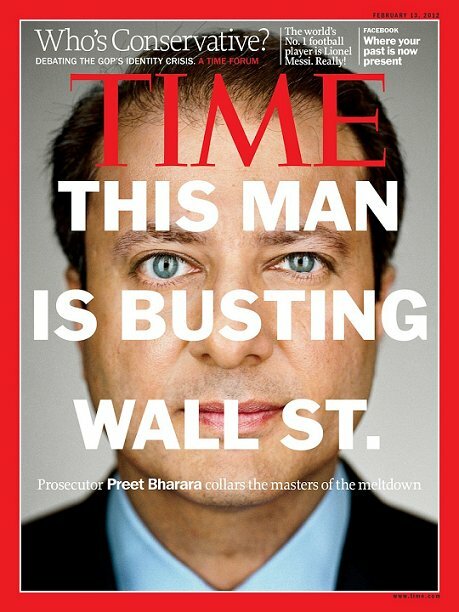 Attorneys last March, there was speculation that the main objective was to remove some, especially Preet Bharara in Manhattan, who might be investigating the president’s business interests. It remains to be seen what will happen with such probes, but the move highlighted the importance of the more than 90 federal prosecutors around the country who pursue a wide range of matters on behalf of the Justice Department. The vast majority of those matters involve cases against individuals, especially those accused of drug offenses. Yet there is a significant subset of cases brought against for-profit corporations and non-profit entities. The U.S. Attorney’s Offices (USAOs) are a key front in the fight against corporate crime. The latest expansion of Violation Tracker contains more than 1,000 USAO civil and criminal case records with corporate defendants dating back to 2000. Together they account for more than $18 billion in fines and settlements. Assembling the list involved examining the press release archives of all the USAOs to identify those that announced the resolution of relevant cases. Among these are numerous high-profile prosecutions of major corporations, including three dozen with penalties of $100 million or more. This group is dominated by banks (such as JPMorgan Chase and Deutsche Bank) and pharmaceutical companies (such as Merck and opioid culprit Purdue Pharma). Among the most common offenses on the full list are violations of the Controlled Substances Act (by drug wholesalers and pharmacies), the False Claims Act (by for-profit and non-profit hospitals), anti-money laundering laws (by banks and casinos), and environmental laws (by companies of many kinds). The offenses with the biggest aggregate penalties are those involving the False Claim Act ($4.2 billion), fraud ($3.5 billion) and anti-money laundering laws ($2.7 billion). While business cases were found at nearly all USAOs, they are far from evenly distributed. The offices with the largest number of corporate cases are: the Southern District of New York (Manhattan), the Eastern District of Pennsylvania (Philadelphia), the District of Massachusetts and the Eastern District of New York (Brooklyn). In terms of penalty totals, the Southern District of New York is far and away the leader, with nearly $10 billion in fines and settlements. Massachusetts is second with $1.2 billion. The USAO entries complement the cases already in Violation Tracker from the various divisions of Justice Department headquarters in Washington (Antitrust, Civil, Environment & Natural Resources, etc.). They also represent the last significant portion of federal enforcement activity to be added to Violation Tracker. Our next objectives include the collection of data from state attorneys general and state regulatory agencies as well as private litigation, especially class actions (we’re already gathering information on major wage and hour collective action lawsuits). We’ll also continue updating the data from the agencies already covered, and if any USAO (or other prosecutor) brings a successful case against the Trump Organization, we’ll be sure to add that to the Violation Tracker mix. Who Pays the Penalties for Volkswagen’s Crimes? It’s refreshing to see the book thrown at a corporate criminal, but it would have been even better if federal prosecutors had aimed higher. Oliver Schmidt, who had once been a mid-level manager at VW’s engineering and environmental office in Michigan, was sentenced to seven years in prison for his role in the company’s long-running scheme to defraud the federal government in diesel emissions testing. The charges against him included conspiracy and violations of the Clean Air Act. He was also fined $400,000. Schmidt, who was arrested when he foolishly came to the United States for a family vacation, must be pissed off at having to pay such a severe personal price while higher ranking VW officials back in Germany will probably remain unscathed. Appearing at his sentencing hearing in a prison jumpsuit with his wrists shackled, Schmidt admitted culpability and did not point the finger at any company superiors. However, he did not let VW completely off the hook. In a letter to the judge overseeing his case, Schmidt said he felt “misused” by the company and that he was following VW talking points when he met with a California air pollution official in 2015 and concealed the existence of the software that made the cheating possible. Schmidt could not have participated in a conspiracy all by himself. Yet the Justice Department does not appear to have tried very hard to land any bigger fish (though at least one person senior to Schmidt is being prosecuted in Germany). Instead, the DOJ took the typical route of bringing a case against the company as a whole and letting it buy its way out of the entanglement. In 2015 the DOJ, along with the Federal Trade Commission and the State of California, agreed on a civil settlement under which VW had to spend up about $10 billion to compensate customers and $4.7 billion on pollution mitigation. That was followed by a criminal case in which VW had to pay a $2.8 billion penalty. At least this involved a real criminal plea rather than one of those deferred-prosecution or non-prosecution shams, but it is unclear what consequences VW has faced beyond the payout. The company is technically on probation and has a compliance monitor, but that will probably not mean much. Even before these cases, the company had already been under federal supervision because of a consent decree stemming from a 2005 case also involving emissions irregularities. Given the severity of the VW cheating and the fact that it was in effect a repeat offense, the DOJ should have done more to prosecute top executives, and the case against the company itself should have had more than financial consequences. Whereas strict limitations are placed on the activities of individual felons, VW has been able to go on operating as if the scandal had never happened. A case can be made that the company should have been shut out of the U.S. market, but instead it has been advertising heavily and seeking to regain market share. The main challenge is that it can no longer promote its vehicles under the banner of “clean diesel.” Presumably, VW is working on a new way to deceive the public. 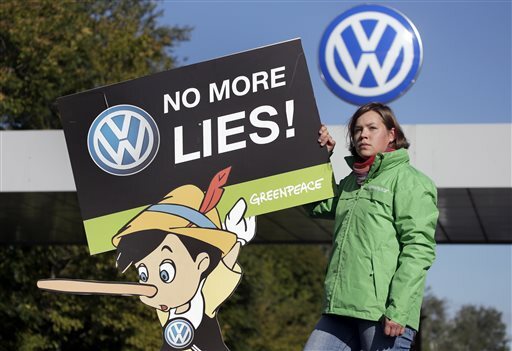 Posted in Auto industry, Corporate Crime, Environment | Comments Off on Who Pays the Penalties for Volkswagen’s Crimes?